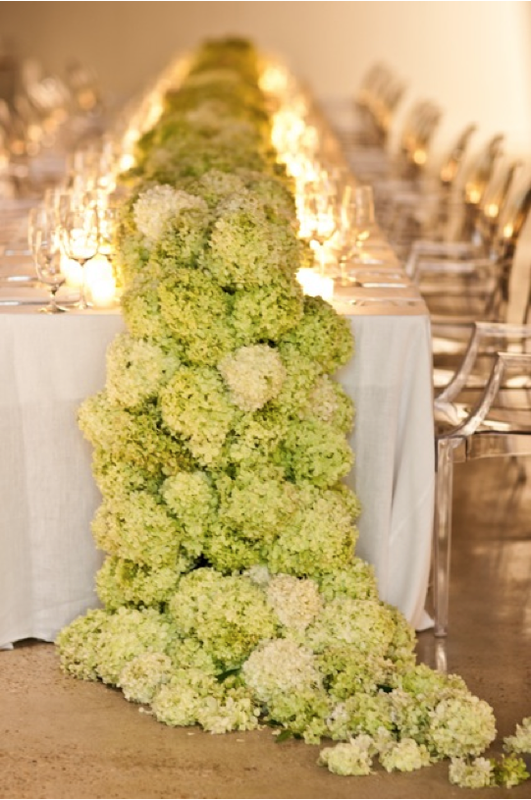 Hydrangeas never looked so fabulous. THAT is, indeed, a well done tablescape. 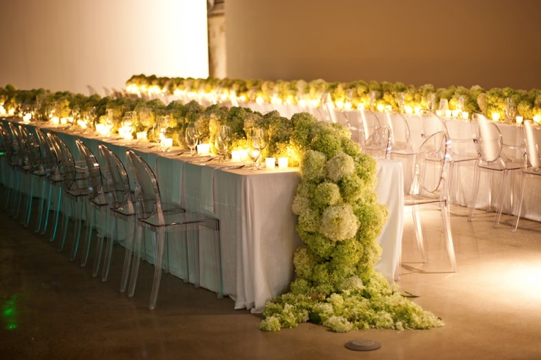 Love how they did absolutely nothing else to detract from it....with the acrylic chairs, simple white linens and votives. It stands on its own fabulously! Stunning. Just goes to show how something simple can be so elaborate and dramatic. Wow, that is a different take on a centrepiece. the end all be all of centerpieces! so dramatic but simple with such a fresh green color. love it! oh wow! that is so simple yet so pretty - i love it! WOW! I'm in complete awe. i LOVE your blog. you always showcase the best ♡, Rosa T.
Incredible! How many hydrangeas are in it? Flowers and candles-and you have the right spirit!Thank you for these beautiful photo's!